Could you tell me how to add a company icon just above the products in shop page? Images and text can be added to the shop page with a small code snippet. However, while we’re on this topic, we’ll also cover how to add images and text above or below images on the single product pages as well. 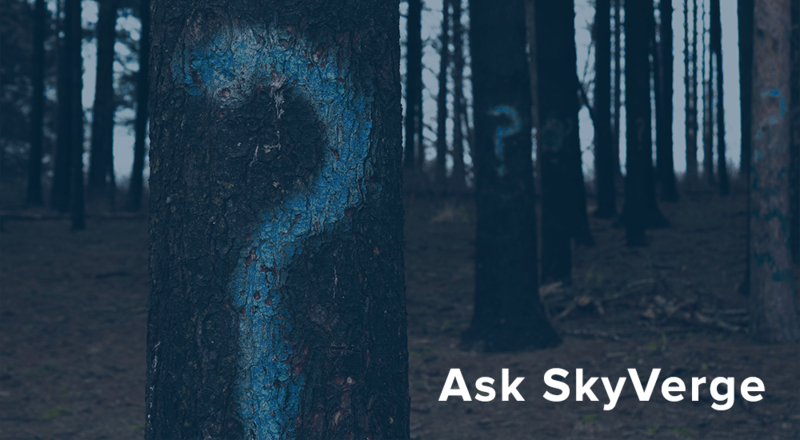 If you’ve never added custom code to your site, please view our tutorial on doing so. 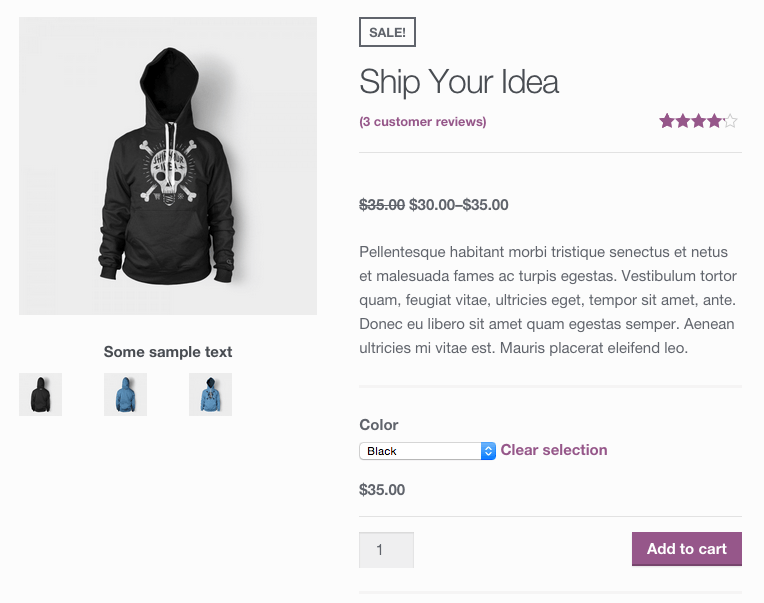 Text and images can be added above images in the shop page using the woocommerce_before_shop_loop_item_title action. This action is what the product images and title are hooked into on the shop pages, so we can hook in text or images with an earlier priority to put them above product images, or leave the default priority of “10” to put them below product images. Let’s first add some text above product images — you could adjust this sample text as needed. This will give us the same text above every image in our shop loop. Now a logo will be displayed above each product’s image in the shop instead. 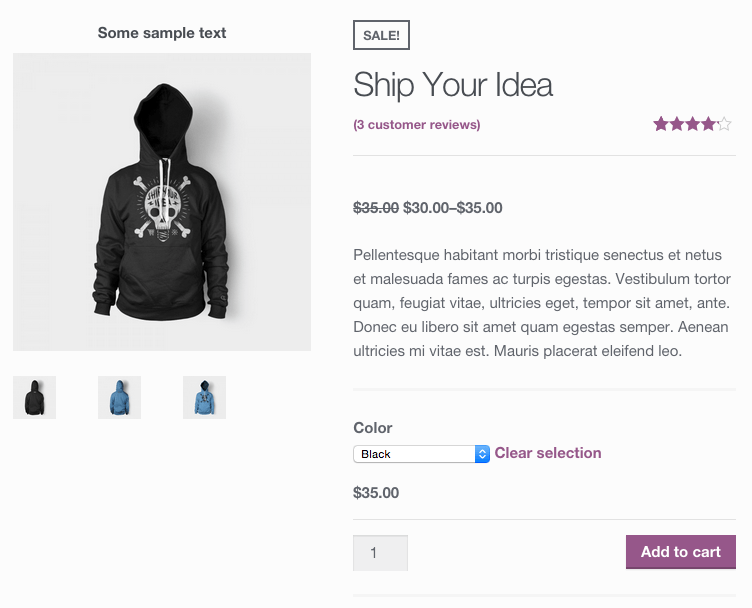 Adding information below the WooCommerce product image on the product page is simple as well. The woocommerce_product_thumbnails action fires after the featured image and before the thumbnails are displayed. This can let us add our text or logo right below the main product image. We’ve written a similar post that can also show you how to add text blow the thumbnail images. 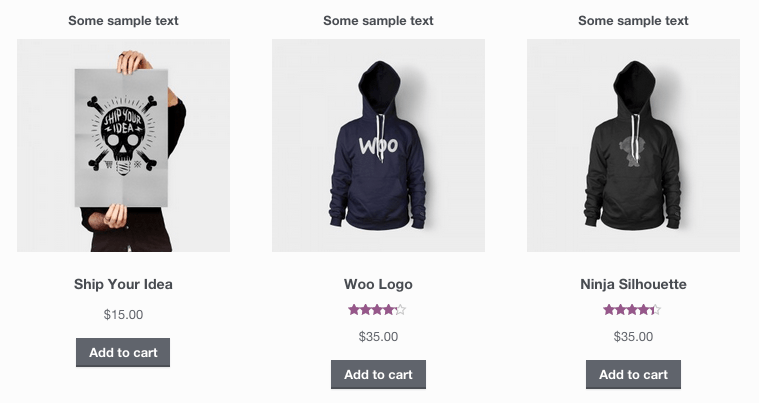 Adding text or images above the WooCommerce product images is a bit tricker. There are no actions here, but we can filter the image html to add text above the image using the woocommerce_single_product_image_html filter. We’ll filter this image html, add our HTML above it, then return the image again. We can also add a logo above the featured image by replacing the echoed text above with image html instead. This will work if your shop only contains simple products. Now our logos will be added before product images for all products, so you can use this snippet instead if your shop has both simple and variable products. I’d love to see this in action if you use it! Link your site in the comments. Combining this with something like this tutorial should work — use a custom field on the product for the logo image’s source, and then use that data instead of a single URL:. Hey Pawan, as stated above, using a custom field could let you change the image used per product, as you can enter a different image URL for each product to display a different logo. If you’re not familiar with using custom fields, Codeable is great for these sort of small projects. How do you add information or a caption inside the product image? Eg,. “More options available”. Sharp and Clear article from Beka Rice, really helped me to fix some issues with product image that we had , want to replace them with text. not many material about how to hack this. Can you do this via custom CSS rather so that you dont have to worry about updates in the future? How do I add text above only one of the images? I’m so encouraged to keep learning whenever I encounter people like you being so generous with information! Thank you! My question: How can I get unique text above the images? So if I want to add a description, how would I do this? Hope this is clear. Hi! i was going through your blog and its quite helpful. I have a question if you can please help me out. I have been using this technique with great success until I updated woocommerce to 3.0. Now my pricing chart that I inserted BELOW the thumbnails via your method, gets pushed upward to right below the featured image and messes up the new 3.0 Gallery. I have only found a temporary workaround. I grabbed the original files (product-image.php and product-thumbnails.php) from woocommerce 2.6.3 and uploaded them to my theme so I could override the the new 3.0 files. I like the new 3.0 gallery and would very much like to use it, but am stuck with the old for now. frustrating, I’ve the issue with my plugin which is uploaded on codecanyon. That’s would be a bad idea to overwrite WooCommerce files. I’ve asked for their support but no response from their end. Looking forward to see any official solution.